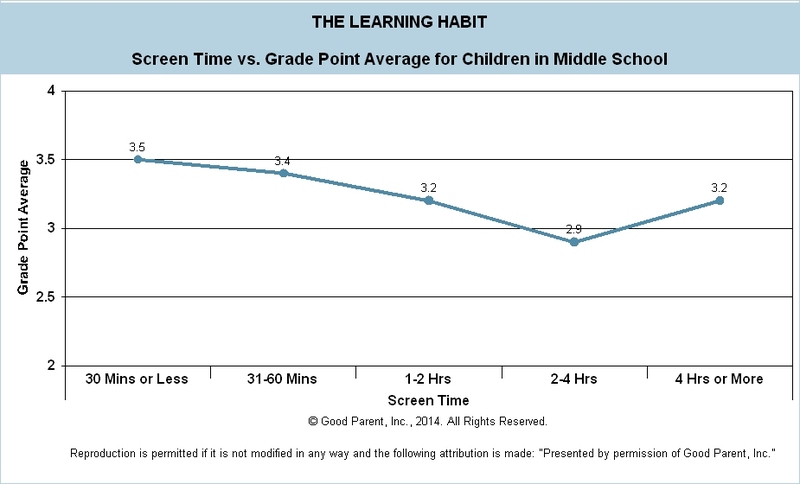 Screen Time vs. Grades - Good Parent Inc. 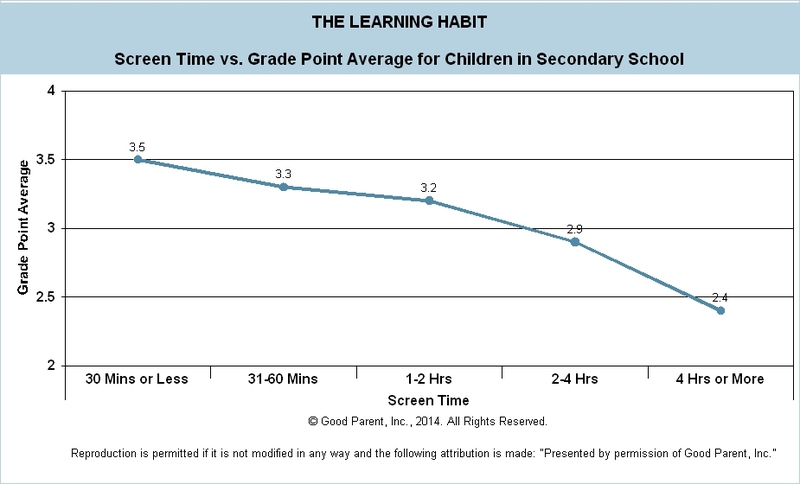 In the Learning Habit Study, we examined Screen Time and Grades. Screen Time was a calculation of the amount of time a child spent per day on video games, watching television, and texting. The amount of time a child spent on Screen Time was compared against their Grades. For this analysis, we only focused on middle and secondary school levels because primary school grades have considerable variability in their rating of academic progress. In secondary school, the more time youth spend on Screen Time the worse their Grades. We see a similar trend in middle school; however, there is a slight increase after four hours of screen time. This affect will be explored further in future iterations of this study.